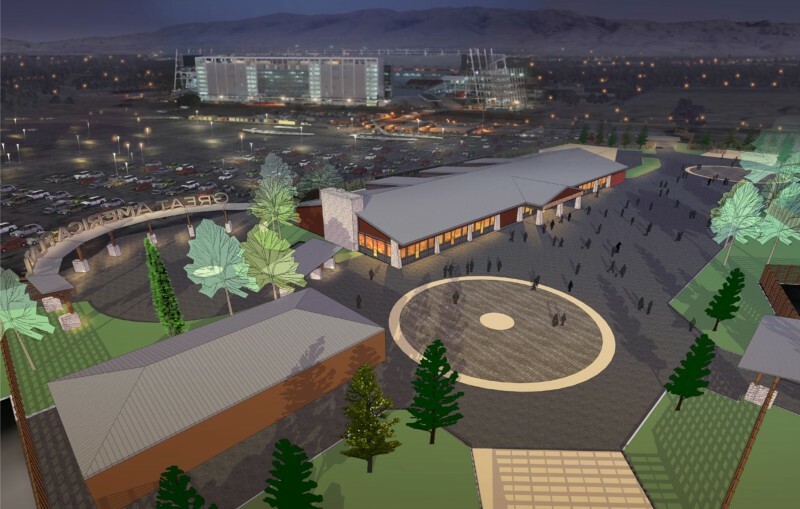 Santa Clara, CA, USA — California’s Great America, the official amusement park of the San Francisco 49ers, is pleased to announce the opening of Great America Pavilion, an 18,000 sq. ft. multi-purpose facility that will be home to the Red Zone Rally pregame event for all 49ers home games, as well as other Levi’s Stadium events. Great America Pavilion is also one of the Bay Area’s premier venues for corporate meetings and catered events, holiday parties and product launches. On non-game days, Great America Pavilion can be utilized as a single facility, or be divided into three distinct areas, and includes a floor to ceiling stone fireplace, complete audio and visual capabilities, and high-end catering amenities. ARTWORK courtesy California’s Great America.